Click on the image above for these free passages! These free reading comprehension passages are summer themed but can be used any time of the year. 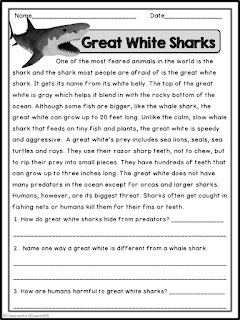 The nonfiction passages are a fun and easy way to get students settled at the beginning of class! They can also be used for homework or in a reading center.